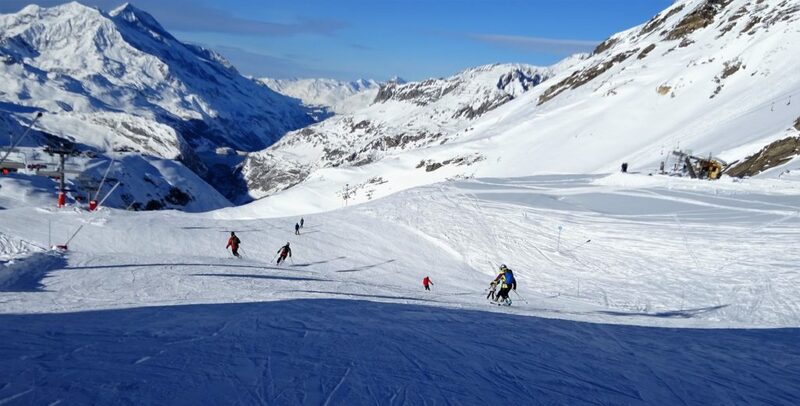 Six keen telemark skiers went to Val d’Isere in mid December and had a fantastic week of freeheel skiing with Ben Langridge from Telemark Tracks. Loipers (Tim and Penny, Steve and Alan) were joined by friends Ros and Mark plus a friendly Scot who we met in the resort. The coaching from Ben was excellent – ‘The best I have had’ (Alan). We were all skiing much better by the end of the week (style, confidence, etc) but maybe a bit more practice is needed for skiing off-piste. The major breakthrough which we all made was to start the turn before the lead change. 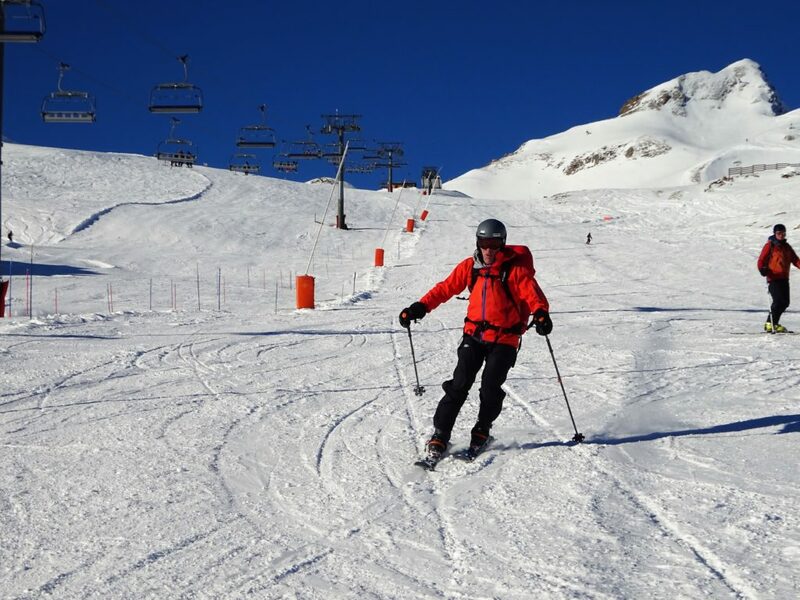 Easier said than done, but it can hugely improve your skiing.